Today is Jodi Huisentruit’s 47th birthday. These photos show Jodi happily celebrating her 27th birthday in June 1995. Looking at the party photos, and with the 20th anniversary of her disappearance just a few weeks away, it’s hard not to think of all the things Jodi has missed since she’s been gone. Jodi never got to follow her dream of reporting or anchoring in a larger television news market. She never got to get married and raise a family. She never got to spend holidays and other special occasions with her mom, sister, niece and other family members. She never got to be a part of her friends’ weddings or watch their children grow up. 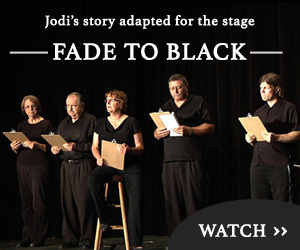 While Jodi has missed so much in the two decades since she vanished, her loved ones have been left with a huge hole in their lives, and always the question: What happened to Jodi? Our FindJodi team is committed to helping find the answer before more birthdays roll by. Her family and friends and the community deserve no less.